Help your customers keep their recent suit purchases free from dirt, dust and damage. With the Polyester zippered coat covers from Store Supply Warehouse, all of your better menswear and women's suits will be protected. Featuring a full length zipper, it's easy to place garments into and remove garments from the bags without fear of tear, damage or wrinkling. Each black taffeta suit cover is made with 3 gauge polyester, measures 54" in length, and features a reinforced hanger opening for convenient transporting. 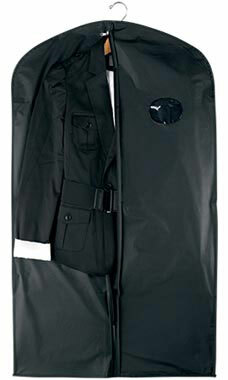 All of our wholesale suit and coat covers are sold by the pack, with 25 bags per pack.